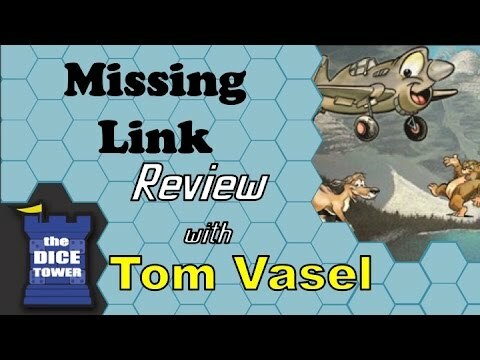 Missing Link társasjáték - Magyarország társasjáték keresője! A társasjáték érték! A Missing Link egy remek társasjáték, 4 - 20 játékos részére, az átlagos játékidő rövid, csak 30 perc. A társast, 9 éves kortól ajánljuk kipróbálni. A játékmenet erősen épít a szövetségek és a történetmesélés mechanizmusokra. 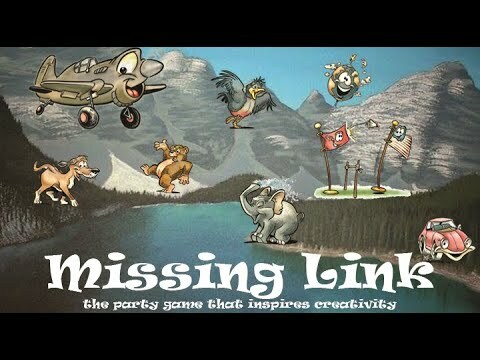 Missing Link is a party game for 4 to 20 people that takes about half an hour to play. Each turn, one person gets two cards with objects on them, then reveals one and keeps the other one hidden. That person is trying to get everyone else to guess the hidden object. The trick is that they can say only what is true about both objects. They can give unlimited hints and the other players have unlimited guesses. When someone guesses the hidden object, the guesser and the hint giver both get a card and the next play proceeds clockwise. The first player to get five cards wins the game. Let's say for example, that you drew an airplane and an apple. You could reveal the airplane and say both these objects are bigger than a strawberry, both these objects might be found in New York, both these could fall on scientists. Frame your hints to get your audience in the right mindset. This free-for-all mode of the game works best with 2 through 10 players.